The cartoonist who created Pepe the Frog has killed off the character in a rebuke to far-right extremists who transformed a benevolent internet meme into a racist, anti-Semitic symbol. A Pepe cartoon released Saturday in comic book stores shows Matt Furie's creation in an open casket. Furie didn't immediately respond to an email seeking comment Monday. In a Time magazine essay last year, Furie described Pepe as "chill frog-dude" who debuted in a 2006 comic book called "Boy's Club" and became a popular online subject for user-generated mutations. But internet trolls hijacked the character and began flooding social media with hateful Pepe memes more than a year before the 2016 presidential election. Pepe became a tongue-in-cheek symbol of the "alt-right" fringe movement and its loosely connected brand of white nationalism, neo-Nazism and anti-immigration. 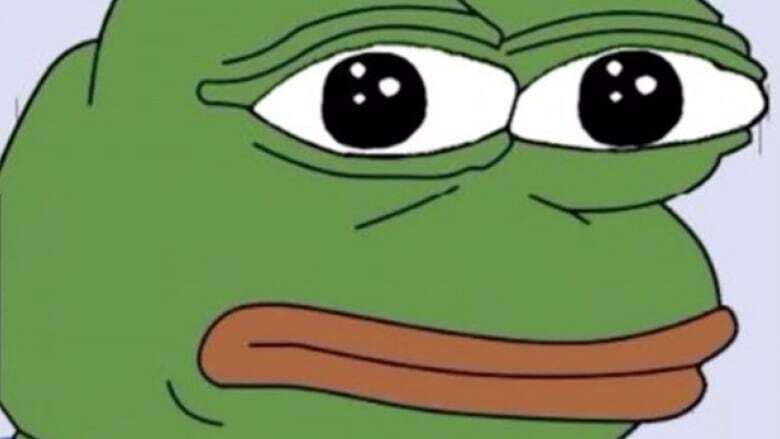 Pepe memes promoting U.S. President Donald Trump's presidential campaign became so ubiquitous that Trump himself tweeted an image blending his likeness with the cartoon frog in October 2015. The Anti-Defamation League branded Pepe as a hate symbol in September 2016 and promoted Furie's efforts to reclaim the character, with a social media campaign using the "#SavePepe" hashtag. "That's a huge challenge," said Oren Segal, director of the ADL's Center on Extremism. "It just didn't pick up." Segal said he doubts Pepe's cartoon death will erode his iconic status with the "alt-right" movement. Richard Spencer, a white nationalist who popularized the term "alt-right," said it could have the opposite effect. "The artist isn't in control of his work once it enters the culture in the way it has," Spencer said. Kyle Bristow, a Michigan attorney who founded a self-described "alt-right" nonprofit educational group called the Foundation for the Marketplace of Ideas, said he already has seen a meme depicting Pepe as Jesus rising from the dead. "The Republicans have an elephant. The Democrats have a donkey. The alt-right has a cartoon frog," Bristow said with a laugh. Furie wasn't amused by how his creation became an "icon of hate," calling it a "nightmare" in his Time essay. "Before he got wrapped up in politics, Pepe was an inside-joke and a symbol for feeling sad or feeling good and many things in between," Furie wrote. "I understand that it's out of my control, but in the end, Pepe is whatever you say he is, and I, the creator, say that Pepe is love." Fantagraphics, which published "Boy's Club," also published the one-page strip in which Furie killed off Pepe. Fantagraphics spokeswoman Jacq Cohen said she would be surprised if Furie never draws Pepe again but she hadn't discussed his plans for the character with him. "This whole Pepe co-opting experience has been pretty rough on Matt as an independent artist," Cohen said.